Ready to turn your computer into a Chrome device? You're in the right spot. The tools and instructions below will help you install the latest version of CloudReady: Home Edition, v70.4. Now, let's get you on the road to using a better OS! Before you begin, head over to our Install Guide to read up on CloudReady's critical requirements, test your network compatibility, and determine if your computer is one of our certified models. 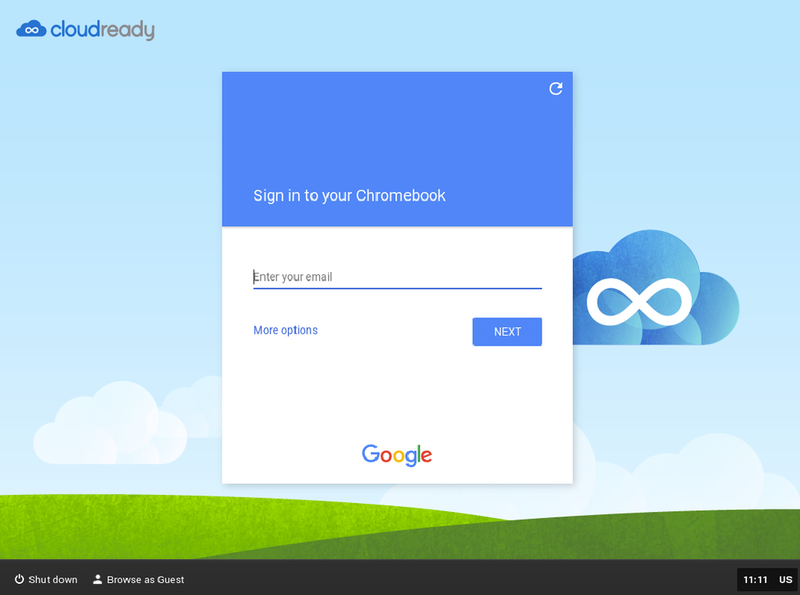 After you've done that, come back here and proceed to Step 2: Build your CloudReady installer. To install the Home Edition, you'll need to create an installer using an 8GB (or greater) USB stick. Windows user? Try the USB Maker. If you're using a Windows 7 or newer computer, we recommend you download our CloudReady USB Maker. It guides you through the process of making a bootable CloudReady USB to prevent issues and save time. Note: The machine you use to create your USB installer does not need to be the computer you plan to install CloudReady on, so even if you are a Mac or Chrome OS user, we recommend temporarily switching to a Windows computer to create your CloudReady USB installer. After you've built your USB installer, follow the instructions in our Installation Guide to begin installing CloudReady. Mac or Chromebook user? No problem! If you're using a Mac, click here for instructions on how to proceed after downloading the image. If you're using a Chromebook, click here for instructions on how to proceed after downloading the image. Only for older computers and netbooks, as noted on our certified models list. What's next? Some helpful documentation. Follow our install guide for detailed, step-by-step instructions on installing CloudReady. Ask questions and search for answers in our friendly and active community of users.